Having a strong online presence is a pivotal part of a modern entrepreneur’s marketing strategy. Regardless of the size and field of your business, you must have an online platform through which you can communicate with your potential clients and customers. 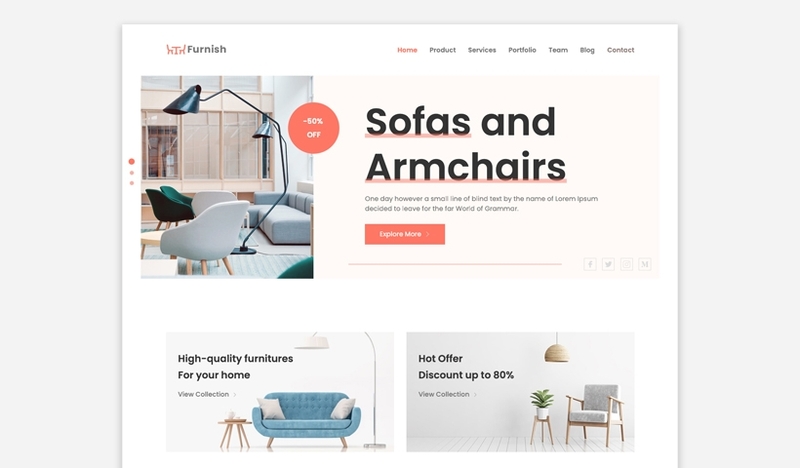 A website gives you exactly that; a website virtual platform which allows you to showcase the highlights of your services or products to the vast majority of your target audience online. 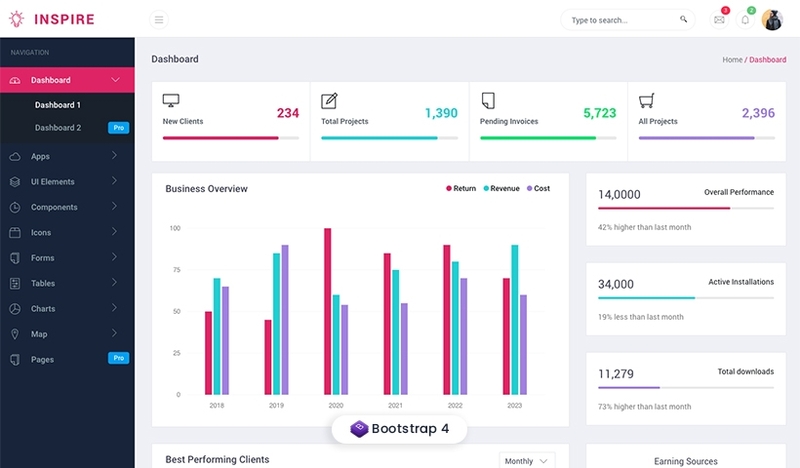 You can find a lot of HTML5 Bootstrap templates online, which can bring your website to life. HTML5 is the latest version of HTML focusing on meeting the demand of faster accessibility and multi platform compatibility for modern webpages. 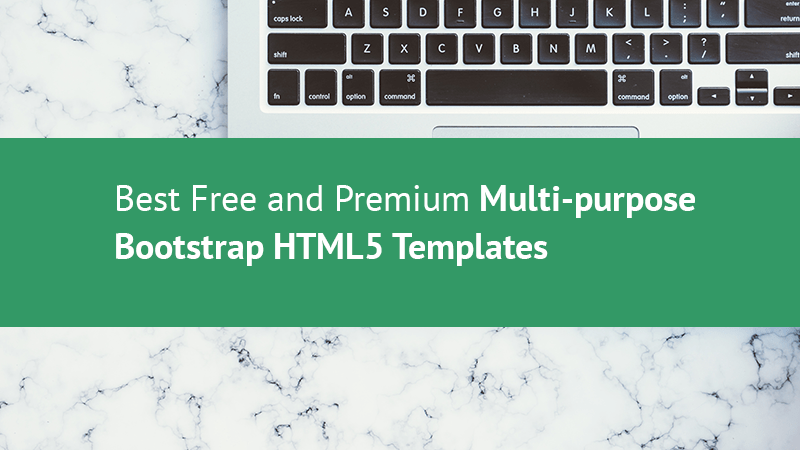 Here are some of the best free and premium multi-purpose HTML5 templates which you can use as the building block for almost any kind of websites. 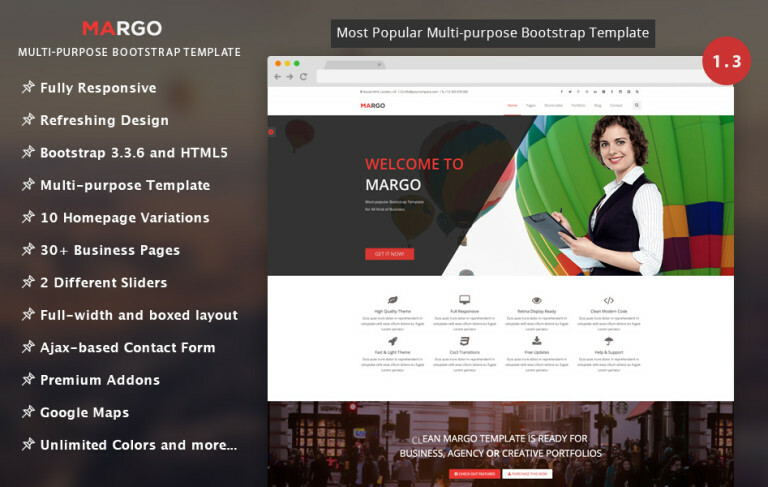 Margo is a light, aesthetic and resourceful Multi-purpose Bootstrap HTML5 Template. 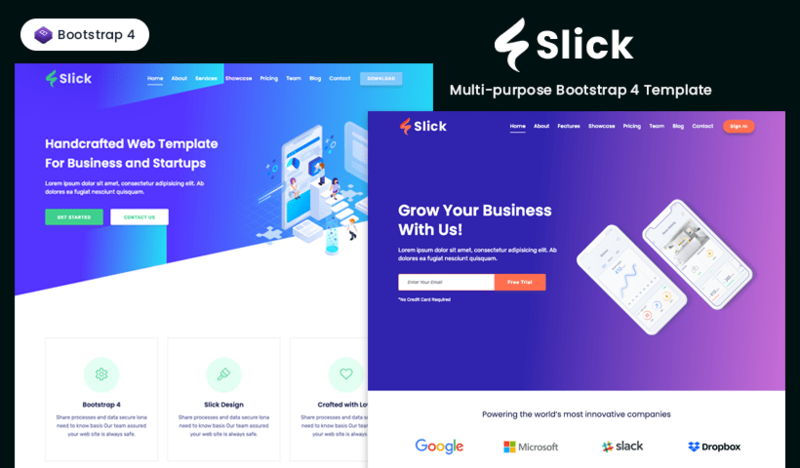 It features a highly responsive layout which can work its magic on any platforms, not to mention a built in mobile menu feature, which livens up your website even in mobile view. 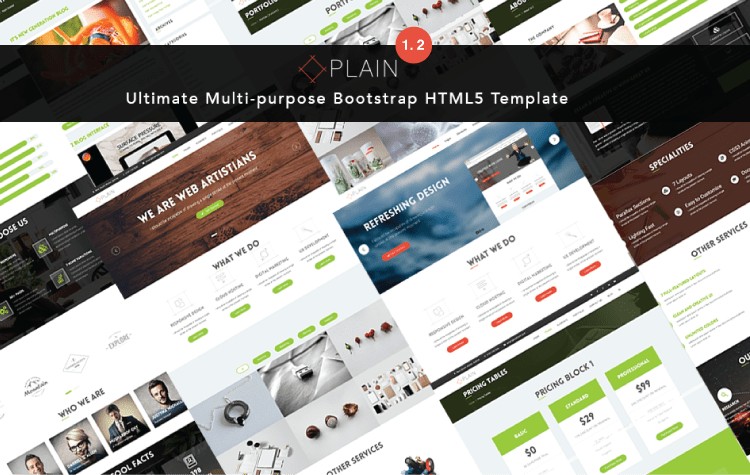 Plain is, in contrast to its name, a vibrant, distinctive and magnificent HTML5 template that can be used to build any websites. 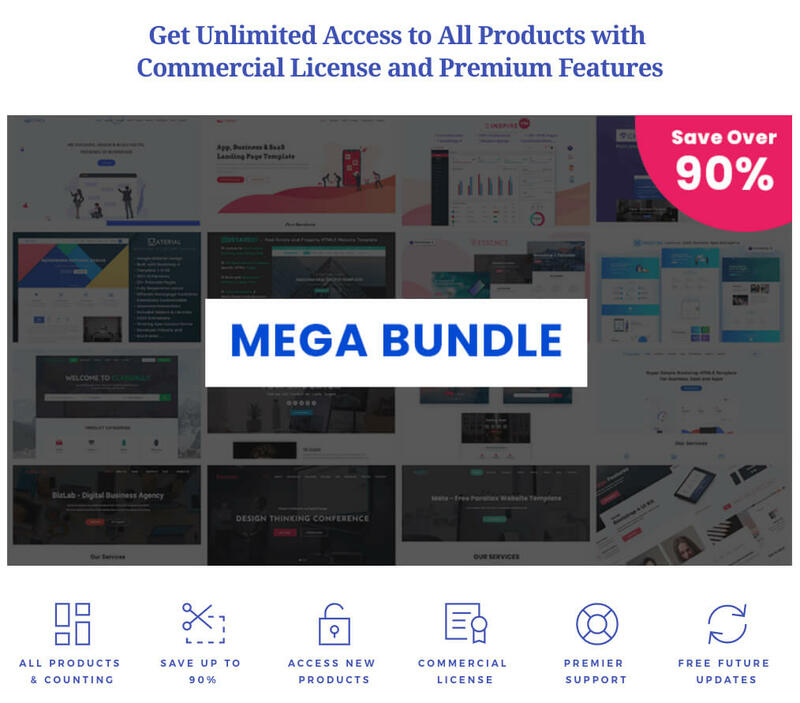 Offers a staggering 50+webpages for your website and 10 homepage variations with stunning video and parallax backgrounds. 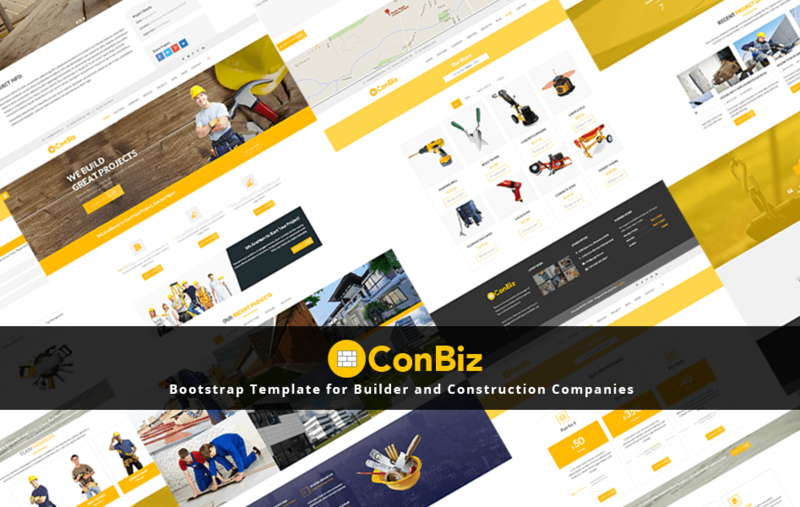 Conbiz is a technologically and visually sophisticated HTML template custom made for architecture, construction and building companies, plumber site and real estate agencies. Its ultra responsive layout grants instant access to your websites in all possible platforms. Can’t find what you are looking for? Customize your own features using the tonz of shortcodes coming with the template. 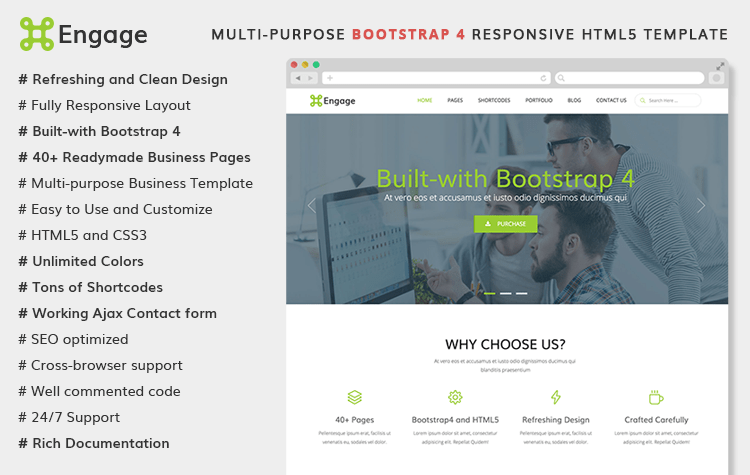 Engage is a highly efficient website template that is based on Bootstrap 4; the first HTML5 template that is compatible with the Bootstrap version. Perfectly coded, SEO optimized and capable of making your website go live in minutes. Engage has been put together in sheer perfection with all the cutting edge features, making it the ideal choice for you to make your mark in the world wide web. 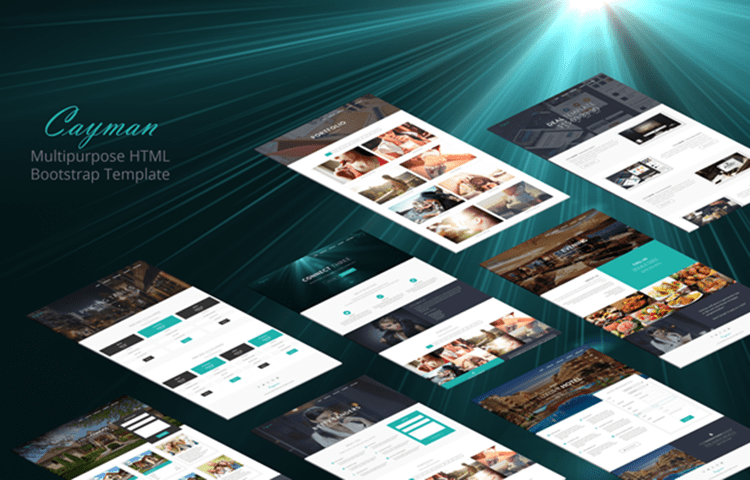 Cayman is a brilliantly designed HTML template that is visually seductive and functionally potent at the same time. Cayman facilitates secure and easy navigation of your website, thanks to its advanced CSS3 coding and impressive HTML5 framework. Easily catches your eye with its colorful and vivid appearance. 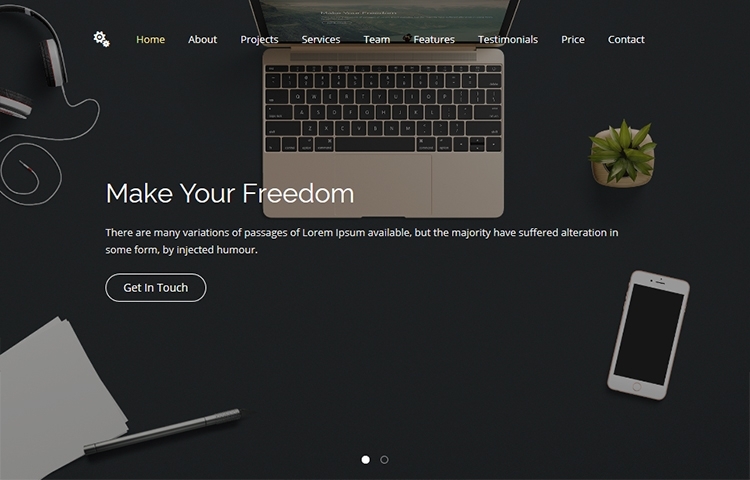 Freedom 2.0 is a breathtaking html template based on twitter bootstrap. 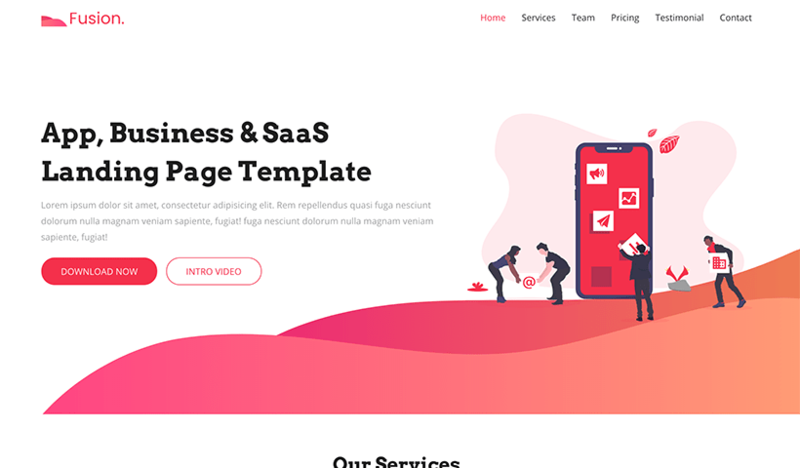 The template gives you the absolute freedom to craft your website according to your need as its stylish and versatile design is suitable for any purposes you might have in mind. 800+ icons included. Material Design is Google’s latest design language aimed at revolutionizing our digital experience and so they did. 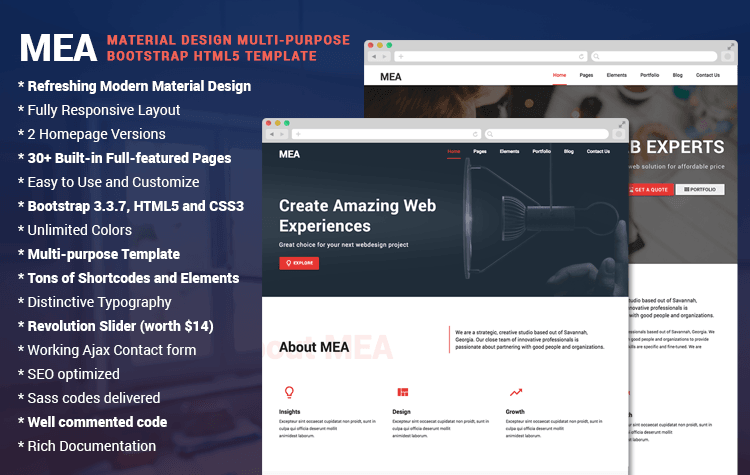 MEA is a Material Design multi-purpose responsive Bootstrap HTML5 template, which is capable of offering your visitors an unparalleled taste of virtual interactivity. 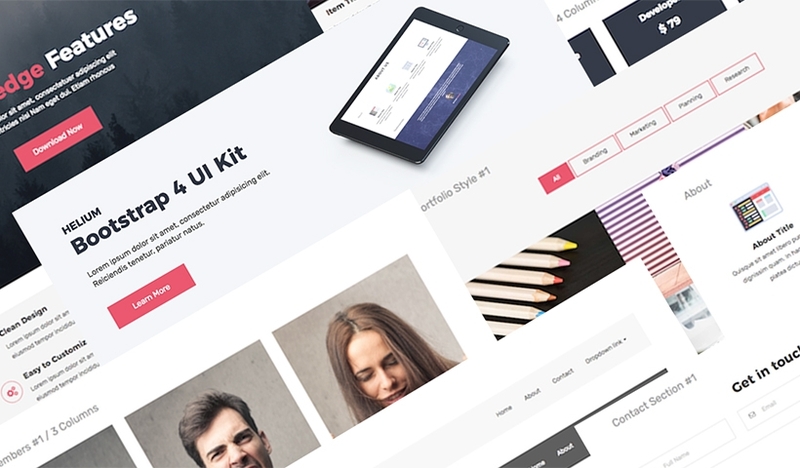 Prism is a one page HTML5 template that can prove to have limitless flexibility. Whatever your endeavor is, Prism can provide you the launching platform you require. 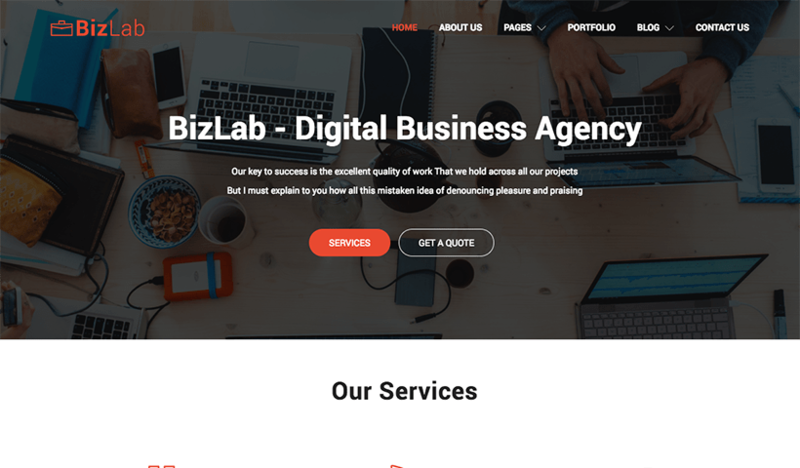 Fully responsive and fast loading. Simplistic design and easy usability. 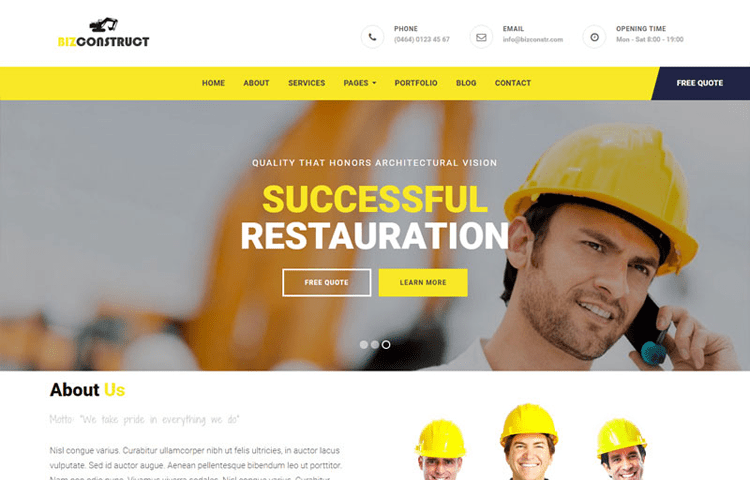 Next on our list is another construction website template, which can also be tweaked to accommodate other purposes. 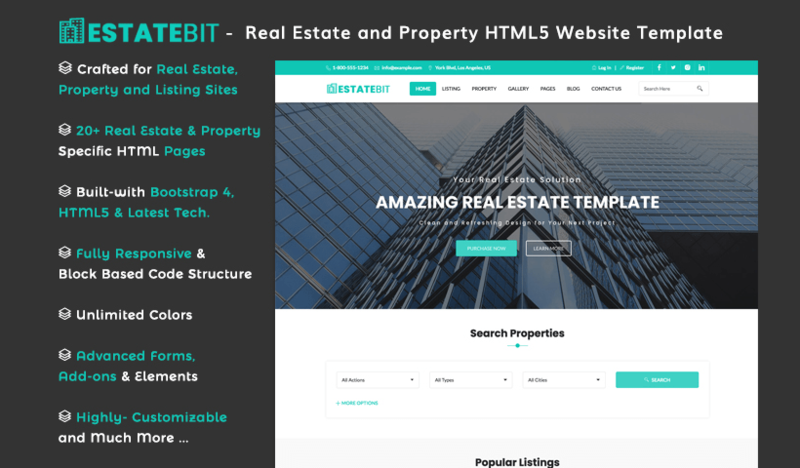 Bizconstruct is a fantastic HTML template, which is mainly designed for construction and real estate website but, thanks to its super adjustability, you can use it to launch other websites as well. 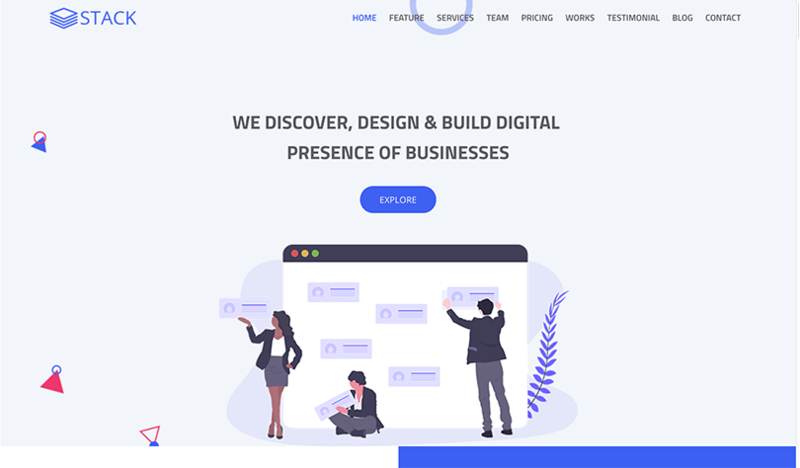 This one is a fine choice, if you are looking to build an engaging landing page for your website. 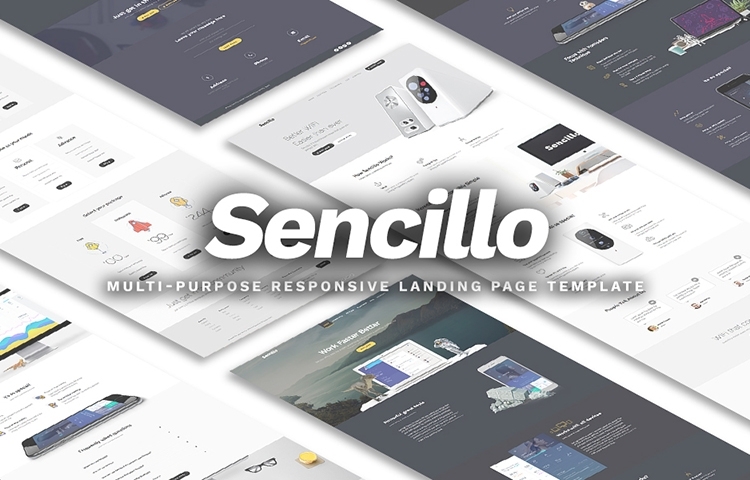 Sencillo is a powerful landing page template with trendy and elegant design. Has exemplary data visualization features, which would result in higher traffic and sales. 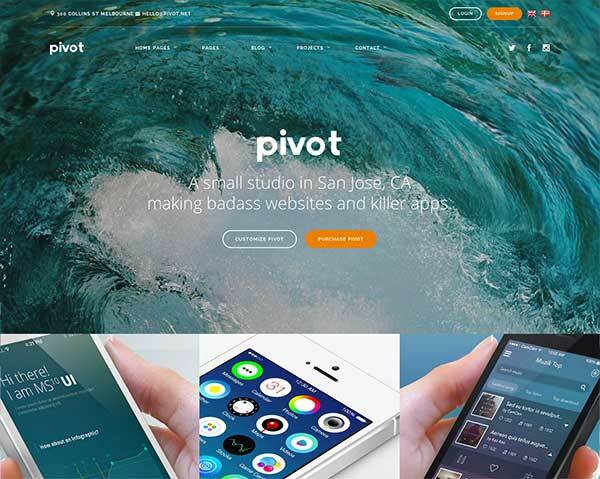 Pivot is one of the bestselling html templates in the market. What makes it so successful, you ask? Its resourceful page builder allows you to custom build your webpages in an instant. You can also integrate social media plugins in your website to drive traffic to your social media pages. 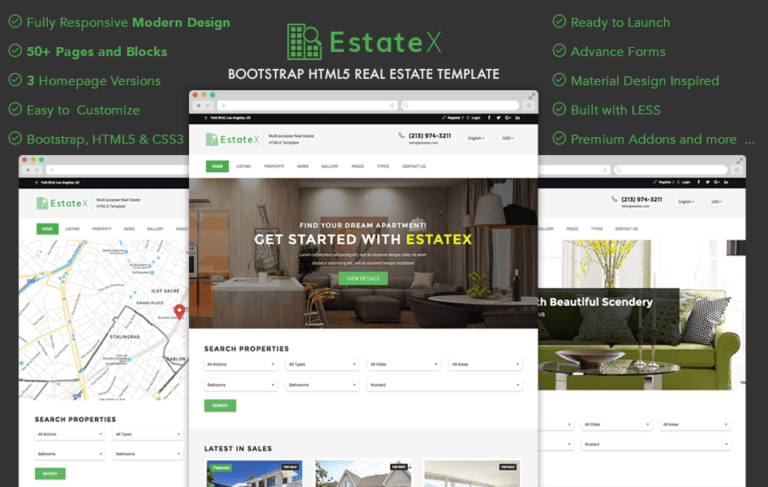 EstateX is an innovative and interactive HTML5 template developed for real estate websites. Bring your realtor professionalism in your website using EstateX’s built-in distinctive features. 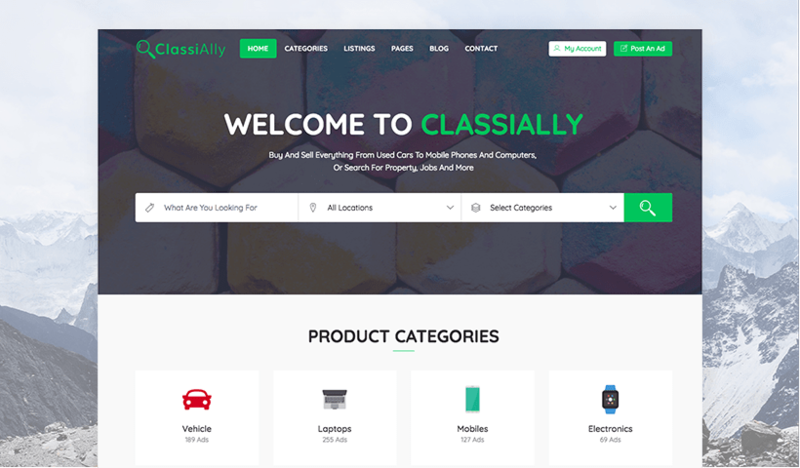 Offers three different homepage variations for your website along with 50+ built in webpages. Contains search engine optimized source codes to rank your website higher in relevant search results. 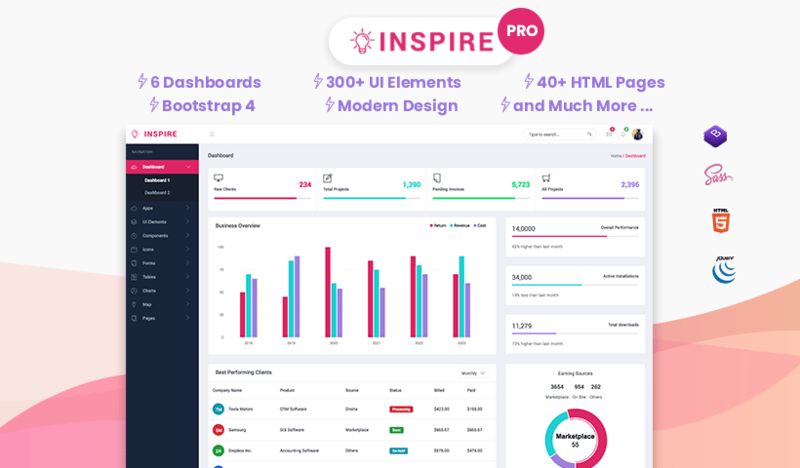 Interphase is another highly functional, all-purpose HTML template that can be an eligible choice to build the online platform for your brand. Perfectly customizable and provides full mobile view compatibility. Did I mention that, it’s also very easy to use? 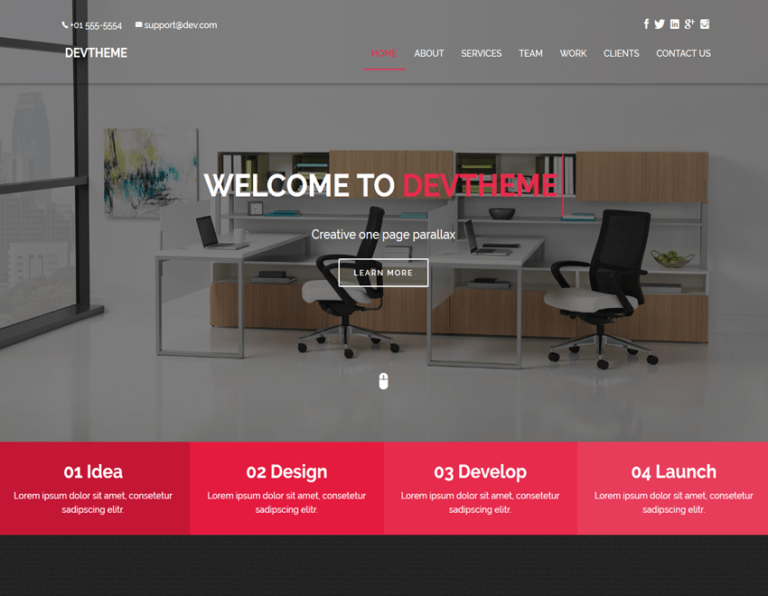 Devtheme is a single page HTML5 template. 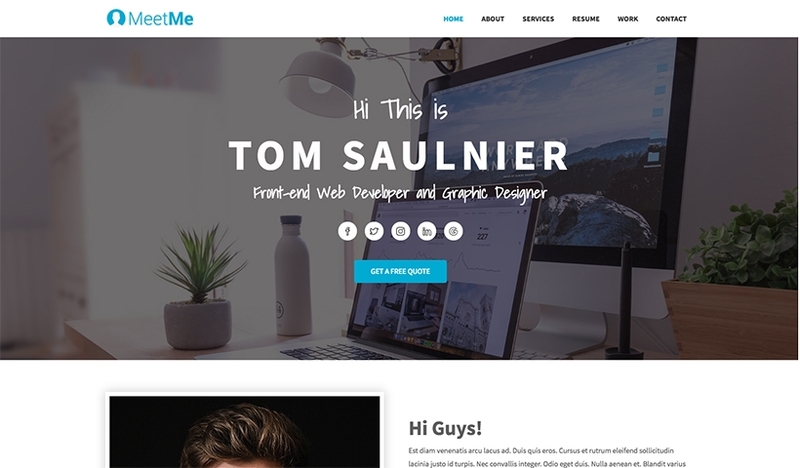 Great pick if you want to have a simplistic vibe around your website. Graphically polished with parallax effects that adds a touch of artistic depth in its layout. Comes with integrated Google map feature that can add geo-location data in your website searches. Here’s one for academic websites! 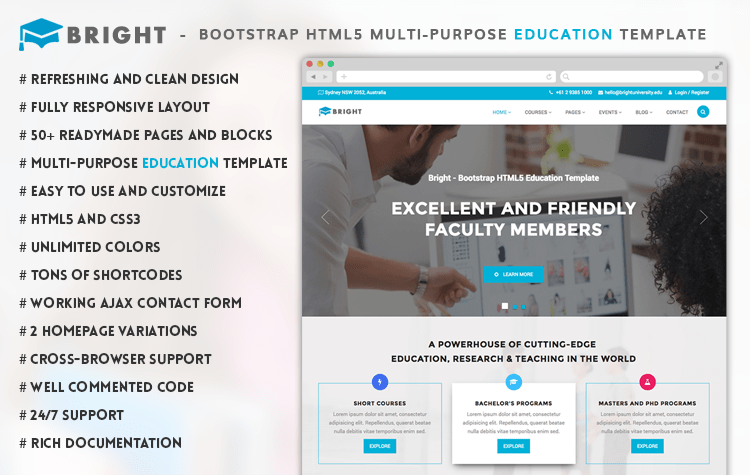 Bright is a perfect suit for websites related to educational institutions like colleges and schools, tutorial websites, training institute profiles, library websites etc. 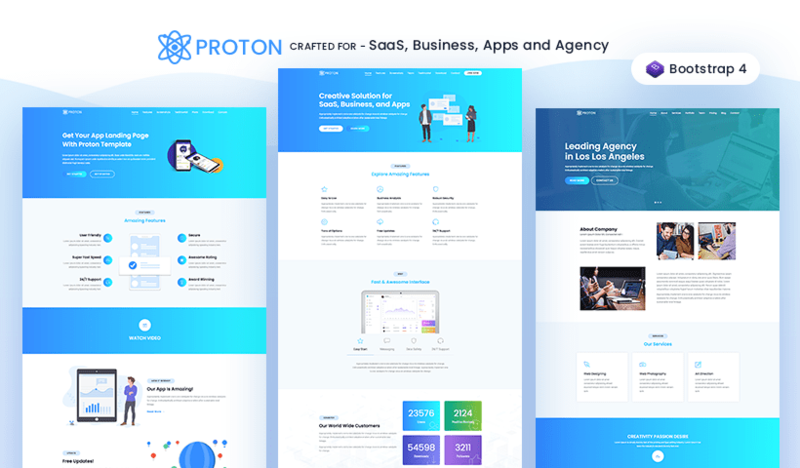 Preloaded with 50+ webpages specifically tailored to be used in educational websites and functional Ajax contact form. Offers cross browser compatibility. 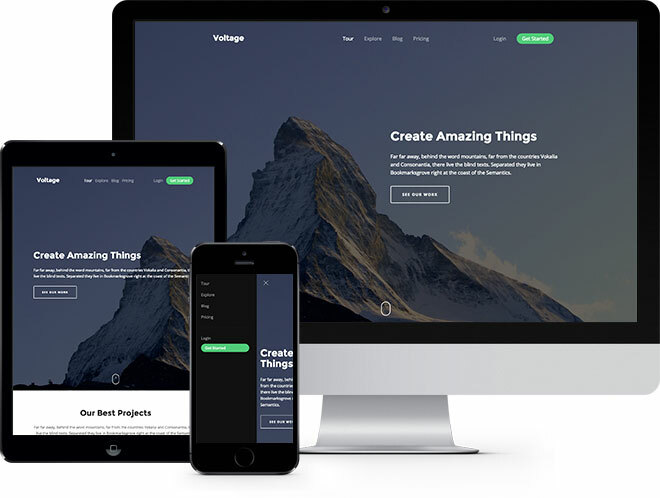 Voltage is a Bootstrap powered HTML5 template that guarantees a mindboggling user experience to the visitors of your website across all devices. Trendy design with smooth parallax feature and JQuery counter. 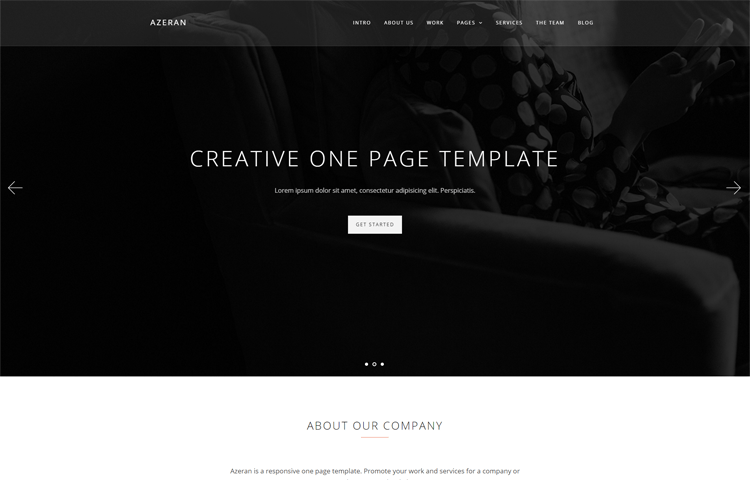 Azeran is an HTML template designed for those who admire a delicate stroke of creativity every now and then. Designed with full responsiveness to grant you uncompromised access on any platforms. Easily customizable so, you can always tweak the template to match your vision. 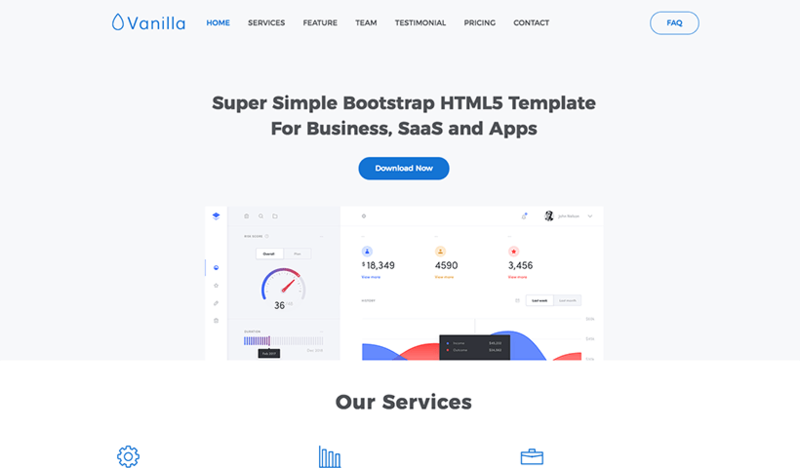 A template with brilliantly organized coding, just the thing you need to make your website look more professional. Switch between the layout options to adjust the page to the size of your screen. 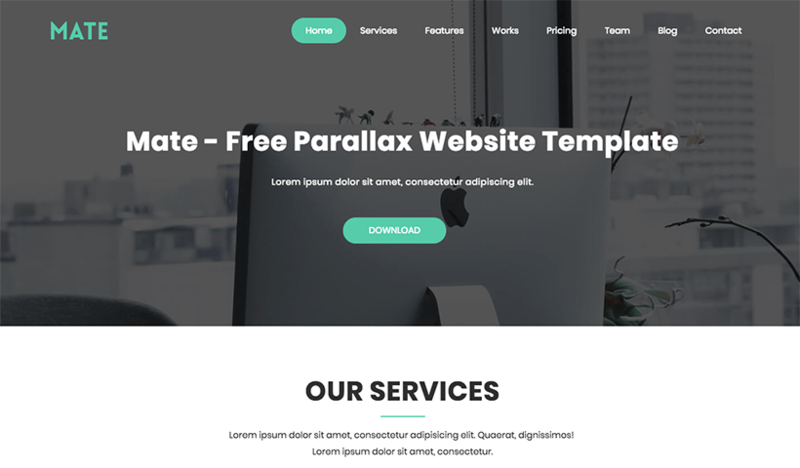 Tons of customization options like unlimited header layouts, are available to bring variations in the appearance of your website. 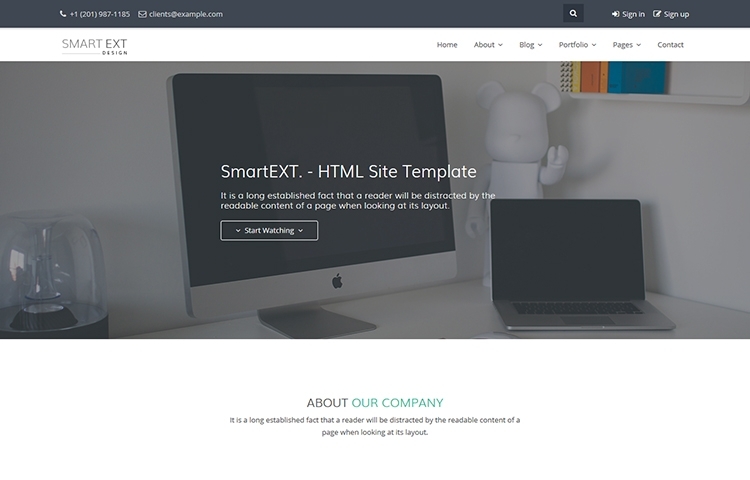 Smart Ext is a fully featured, multi-purpose and fully responsive template built on twitter bootstrap and HTML5. 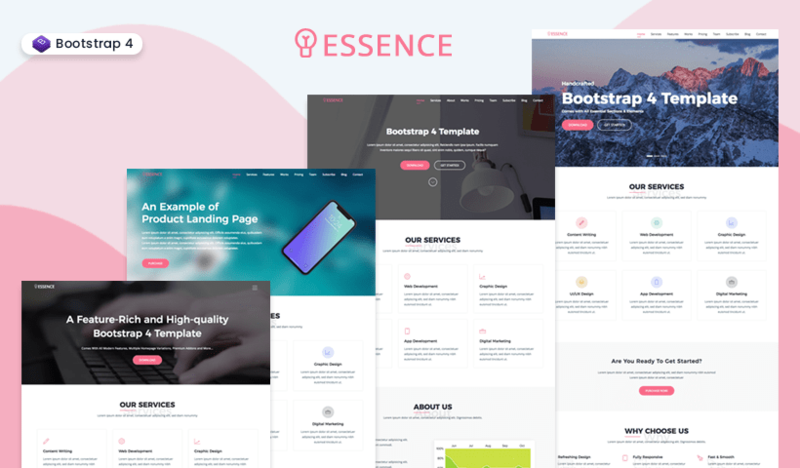 Smart Ext livens up your website with CSS animations, 800+ innovative icons and a wide range of jQuery plugins. Rhythm is a multipurpose template available in both single and multipage formats. Comes with a versatile set of tools including portfolio pages, blog pages, shop pages etc.